Pachmarhi has been harmonized the status of Queen Satpura hill range. Heart capturing waterfalls, scenic sites, large mountain range and lush green hillocks stretch over 60 sq. km in dramatic natural splendor. 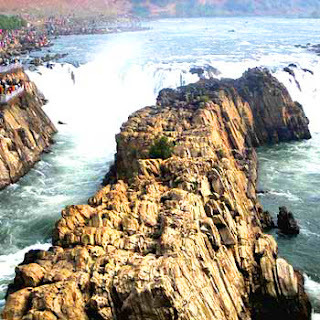 It is the most visited hill station of India. This place was discovered by officer of the British reign, Captain James Forsyth in the year 1862. He got so much attracted towards the beauty of Nature in its purest form that he constructed the bison Lodge here. He wrote the book “The High Lands of Central India” in which he has described the beauty of Pachmarhi and its myriad expression. Large number of visitors used to visit Pachmarhi throughout the year. During the summer time it’s good to come here and beat the heat. Nature has been extremely generous to Pachmarhi. With the Sunrise you will hear the chirping of birds, murmuring rivulets, waterfall and experience the hypnotic hills and shadowy trees. You can attain a spiritual peace in the beauty of Nature. Tourist after visiting Pachmarhi calls it as the Kashmir of Madhya Pradesh. In order to accommodate such a large number of visitors, number of Pachmarhi Hotels and Resorts are there. Even though, in peak seasons like in weekends, Diwali festival, hotel booking in Pachmarhi become problem. Here MP Tourism Hotels are first choice of visitors. Hill Station Pachmarhi has irresistible scenic beauty. Best seasons to visit Pachmarhi is October to June. Usually Pachmarhi sightseeing is of 2-3 days long. Must see tourist spots of Pachmarhi are Pandav Caves, Dhooop-garh, Pachmarhi Lake, Chauragarh, Jata Shankar, Jamuna Prapat (Bee Fall) ,Priyadarshini (Forsyth Point) , Handi Khoh (Ditch) , Apsara Vihar (Fairy Pool) , Rajat Prapat (Big Fall) , Jalawataran (Duchess Falls) , Sunder Kund (Saunder's Pool) , Reechgarh, Bada Mahadev, Gupt Mahadev etc. Food is okay, mostly you will find veg. only. Some hotels provide good food. For south Indian food, south indian restaurant located at bus stand (pipariya side) is okay with moderate price. Rajat Fall, Apsra Fall is very good, Bee Fall getting dirty as any other picnic spot. Despite warning by authority some people openly having liquor. All other spot are okay. On all spot you will have fun of tracking. On the way of rajat fall you will find Mr. J(oseph) P(hilip) Roy (he told that he was a footballer associate with East Bengal), a aged person who will be right person as a guide. Travel tips, How to reach, travel warnings etc. Asthma, heart patient be careful, beware of monkeys, don't trust travel agent easily. You can get buses from Bhopal and Hoshangabad for direct pachmarhi aur till pipriya. you can find buses and taxis from pipriya for onwards. it will be better if you go and take train to/from pipriya railway station. Its a complete guide about Pachmarhi. Thanks for sharing. 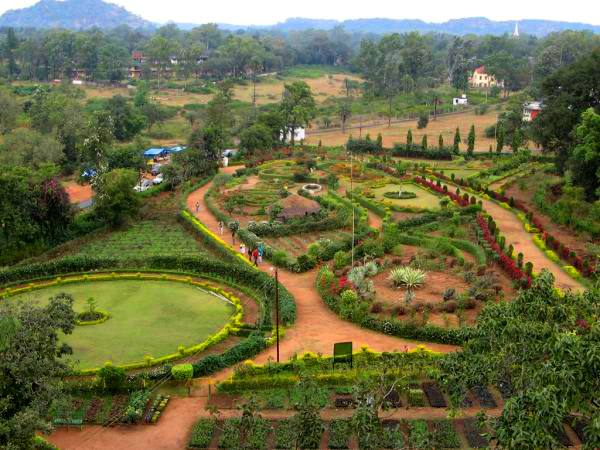 Fondly called the Luxurious Gem of Madhya Pradesh, Pachmarhi (Panchmadi) is a cool refuge amidst green mountains. Go for treks on these mountains or visit the Satpura Tiger Reserve, open all year long, for an exhilarating vacation. Explore all best hotels in Pachmarhi also.